to create 3 dimensional art. Sculpting in paper to create 3D form is an increasingly widely practised art form around the world. 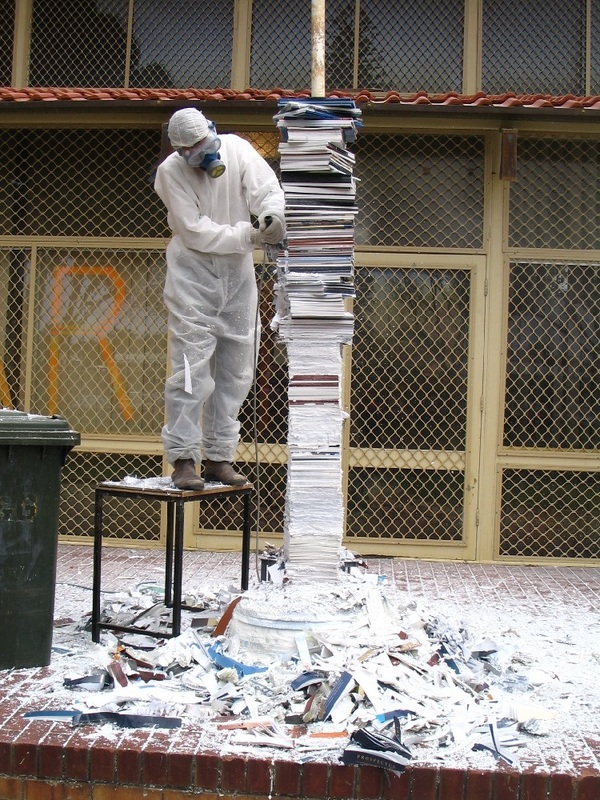 Papermakers, sculptors and artists working in other medium, have all experimented with building with paper pulp reconstituted books, selected papers, customed printed papers, carboards, paper powder, organic and artificial fibres.